One of the best options for keeping warm during the cold months is a ceramic space heater. They are rather inexpensive but can provide you with prolonged heating. In order to choose the best ceramic heater for your room, look for models with an oscillating fan that will distribute the warm air across the room. 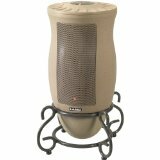 Read below our top rated ceramic electric heater reviews to find the best choice for your needs. There are a number of manufacturers to choose from. 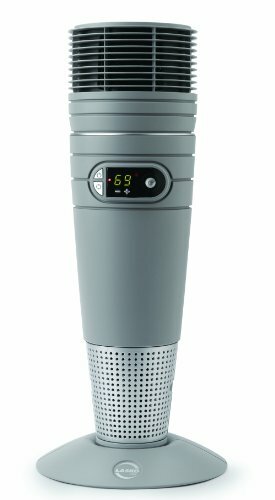 One of the best ceramic heaters and more compact heaters is the Lasko 754200. 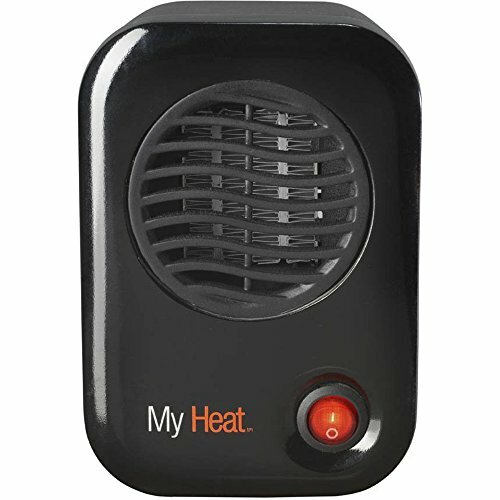 It is the top seller so it makes the top of our ceramic space heater reviews. Its convenient size makes easily portable, for which it also features a carrying handle and a low weight. For optimal comfort, you select of the unit’s 3 settings. 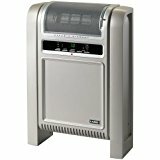 For more heat you can select the high setting and the unit will operate using 1500 watts. For less heat and to save energy, you can select the low setting. This setting uses 900 watts of power. A third option is the fan only setting. For more controlled temperature level, you can adjust the thermostat and choose the room temperature you want. The Lasko 754200 runs quietly and is designed with the 2 important safety features, the tip over and protection in case of overheating. The second top pick among the best ceramic heaters is another Lasko unit. 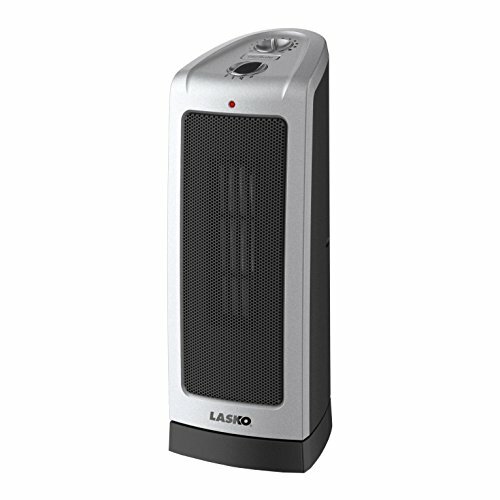 The Lasko 751320 is a tower heater that also uses the self-regulating ceramic heating element. It also has a small footprint, though it’s higher than the previous heater. In height it measures 23 inches. To keep the air in the room evenly warm, Lasko 751320 uses widespread oscillation. The thermostat can also be programmed to keep the unit working with maintaining your desired temperature. But if you prefer, you can just select the high or low setting. More convenience is provided by the timer, which you can set up to 7 hours in advance. It comes with a remote control. Lasko 751320 is ETL listed, so you can be sure that it’s made with safety in mind. Among the best personal ceramic heaters, the Lasko 100 stands out. It’s very small, so it fits even the most compact spaces. 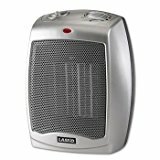 Lasko 100 is the best ceramic space heater among the personal size heaters. However, its size also means that it’s heater that you need to place right next to you in order to get its heat. You can put it at your workplace, on top or under the desk. With its Energy Smart feature, it uses very low wattage. Using 200 watts it will keep you warm, but it’s not a heater for an entire room. The Lasko 100 also has the ETL listing and really safe for use. Its housing is safe to the touch and doesn’t heat up. In case of overheating, it’s prepared with a protection system. Lasko is a very popular brand of space heaters. Their products are known for good quality, and Lasko 5307 also provides that. Its quality and features makes it a long lasting unit for effective heating. It’s also one of the compact heaters. With a small footprint and an average height of 16 inches you can keep it on the floor or place it on the table. It equips the similar features to the other mentioned Lasko models. The 1500 watts motor can operate at either high or low setting. You can also choose to use the fan-only mode or adjust the thermostat. Similar safety features and ETL listing. If an attractive design is an important feature for you, then consider the Lasko 6435. It comes in an elegant design with a metal scrollwork base. It also keeps the unit sturdy and is not that easy to tip over. It uses widespread oscillation, so no matter where you are in the room, you will get even warmth. The settings are similar. You can select more or less heat or let the heater maintain a certain temperature with the thermostat. The wattage for highest setting is 1500. If you want the room air to warm up rapidly, it also offers the option of a fan forced system. ETL listing and provided safety features. The next ceramic heater is also made by the Lasko company. One of the best features of Lasko 6462 is the option to program the unit to sweep the heat a different range. You can either set it for a 90-, 170- or 360-degree range. The other specifications such as settings, power, and safety features are same to previously mentioned ceramic heaters. What Is A Ceramic Heater And What Are The Advantages? Oscillating system distributes the warm air. Can combine two functions: heating and cooling. Most of them include a remote control for easier adjustments to the temperature settings. Its compact size saves space. Asking the question – are they efficient? Yes! They help to save energy. Use the space heater in accordance with its manual. Use certified space heaters and preferably ETL listed. The heater should be placed on a nonflammable surface. Make sure that the cord is out of the food traffic way. Never leave the heater unattended. So if you are leaving the room or the house, turn it off. Keep a distance of about 3 feet between the heater and any flammable objects. 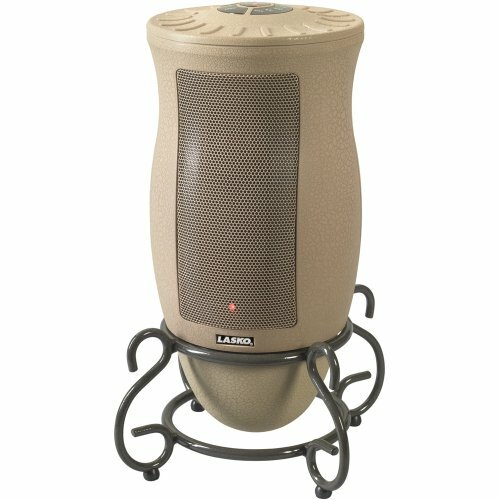 Ceramic space heaters are convenient to use. They are unobtrusive usually and don’t require much space. They are effective at heating a whole room with even distribution of the heat. The models we have picked for our best ceramic heater reviews were chosen by their high ratings and a lot of positive reviews of the customers, which make them stand out among the others. They are effective, affordable and built a lasting use.